Learn basic metalsmithing skills and jewelry making techniques in this introductory 8 week class. Get to know the studio and become familiar with the tools and equipment in this hands-on course. 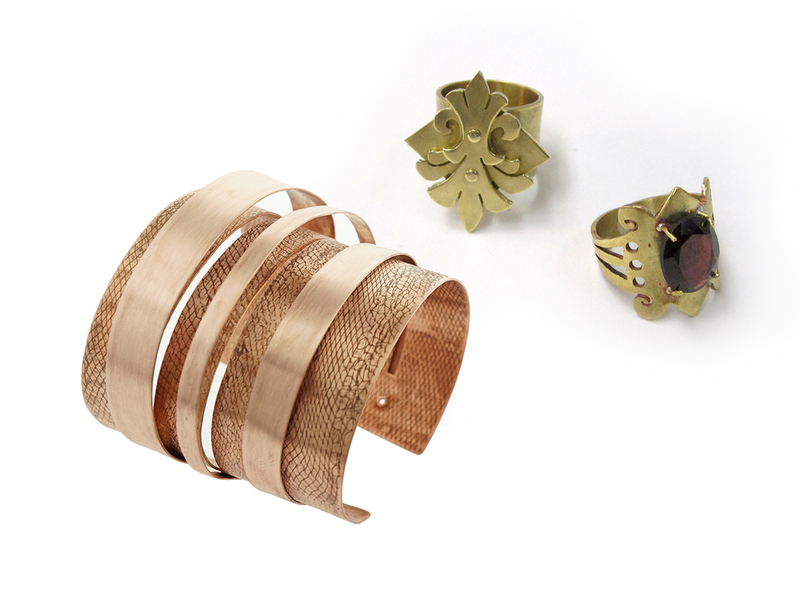 Students will explore the foundations of metal work including sawing, filing, forming, and soldering, as well as discussing the components of jewelry design. No previous experience necessary. Beginners welcome. Supply kits are available for purchase online from AllCraft, and can be picked up at class. No shopping necessary! We will email details with enrollment confirmation.